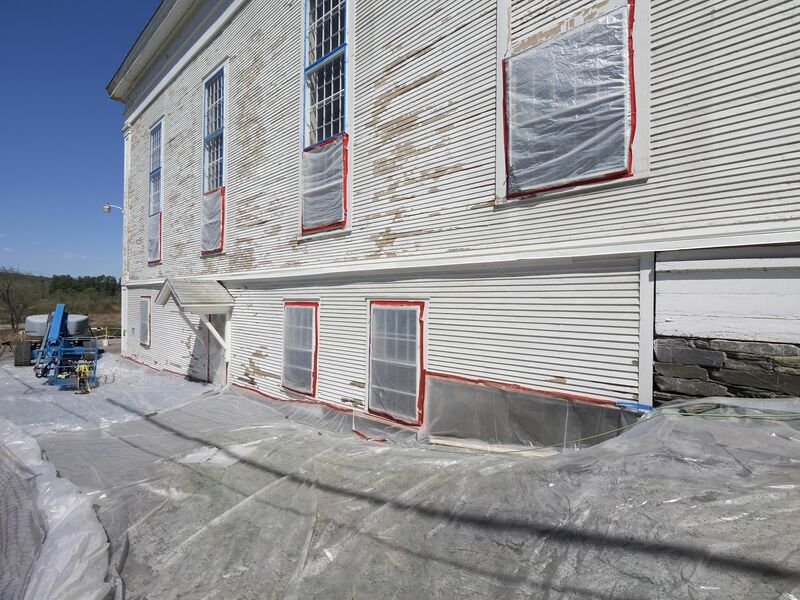 Effective cleaning begins with proper cleaning and containment during a lead paint renovation. While cleaning, keeping dust in a contained area is important. You don’t want to have clean areas become re-contaminated. The best cleaning technique is a “top to bottom, back your way out” one. This is especially important so you don’t have to re-enter an area that has already been cleaned and risk contamination. Start cleaning high to low, and be careful not to spread the dust to other areas. Following an ordered sequence is important as well, for example you don’t want to clean the countertops before cleaning the floors. If the floors are cleaned before the counter tops you risk re-contamination by walking on the floors to get to the countertops. Countertops are higher than the floors and dust will drop onto the floors. Never re-enter an area or areas that are already cleaned. Once cleaning is complete conduct a visual inspection. Look for paint chips, dust, and debris. If you find any, you must re-clean. Once an inspection is done by a certified inspector, with the verification card, perform a cleaning verification until all the areas pass the test. A dust clearance (made by a certified lead inspector) may replace a cleaning verification when required by Federal, state, tribal or local law, or by the owner. Anyone who works on pre-1978 homes or child-occupied facilities must be certified as a Lead Paint Renovator. This includes Contractors, property managers, janitors, handymen, landlords, etc…Anyone who is doing work on a pre-1978 target building for compensation must have their lead paint certification. Compensation can be a direct payment, rent, or any other form of currency exchange. The Builders License Training Institute offers both a Lead Paint Safety Initial certification class and a Lead Paint Renewal course. Classes are available here. For contractors and individuals, currently certified as a Lead Paint Renovator, we now offer the 4-hour (RRP) refresher course online! Now you are able to take a refresher course online at your own convenience without the hassle of driving for a half day class! The Lead Paint certificate for the 4-hour RRP online refresher course is good for 3 years.